Wilensky’s. Schwartz’s. Cheskie’s. Discover the roots of Montreal’s vibrant Jewish community through the classic eateries that tell its story. We’re pairing the Toronto premiere of Chewdaism, the first feature film by the creators of the wildly popular web series, YidLife Crisis, with a Jewish Montreal-inspired nosh-fest conceived especially for us by local legend, Chef Anthony Rose (Rose and Sons, Schmaltz). Struggling with their own proverbial “YidLife Crisis,” Montrealers Jamie and Eli return to their hometown in search of their mixed-up heritage. 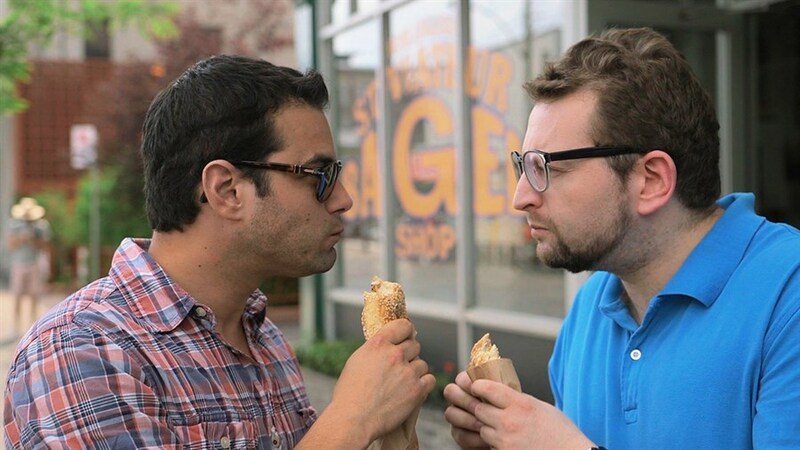 From the old immigrant district in the Plateau, north to Outremont’s Hasidic neighbourhood, and west to Côte Saint-Luc's Sephardic community, follow the hilarious duo across the city as they trace the diversity of food traditions, share meals with special guests, and remind us that Montreal's rich past is still abundant. Before the film, bring your appetite as Chef Anthony Rose offers up his take on Montreal’s beloved Jewish food institutions. Expect scrumptious nods to iconic deli sandwiches, pickles and of course, Cherry Soda. Screening followed by a Q&A with Jamie Elman and Eli Batalion of YidLife Crisis, moderated by Rani Sanderson, Programmer at the Toronto Jewish Film Festival.